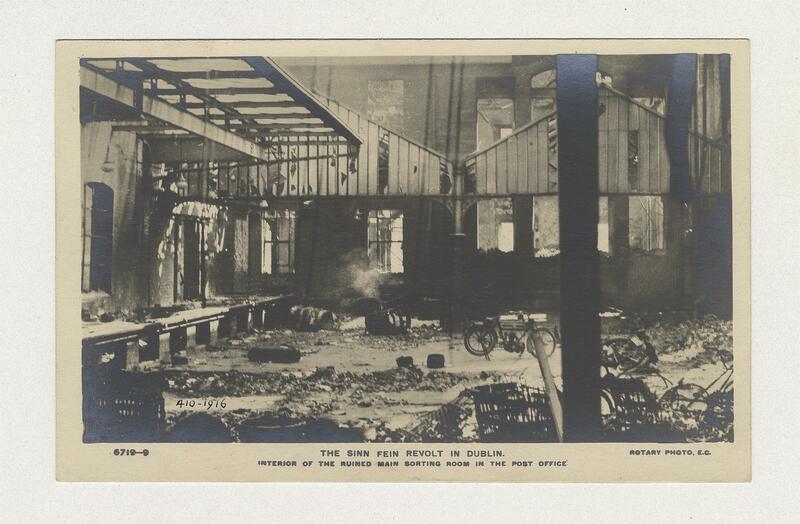 Easter Rising postcard showing 'The Sinn Fein Revolt in Dublin - Interior of the Ruined Main Sorting Room in the Post Office.' Rotary Photographic Series. Note the postcard states a Sinn Fein Revolt One of a set of six.